​Manchester City centre-back Vincent Kompany has challenged his team mates to "pull everything out of the locker" for Thursday's crucial game against Liverpool. The Citizens currently find themselves seven points adrift of league-leaders Liverpool and many are dubbing the game as 'make or break' for Pep Guardiola's side. ​Kompany has issued a call to arms to his team mates ahead of the potentially season-defining game and demands his side restore their pride following two uncharacteristic losses in consecutive games over the Christmas period. 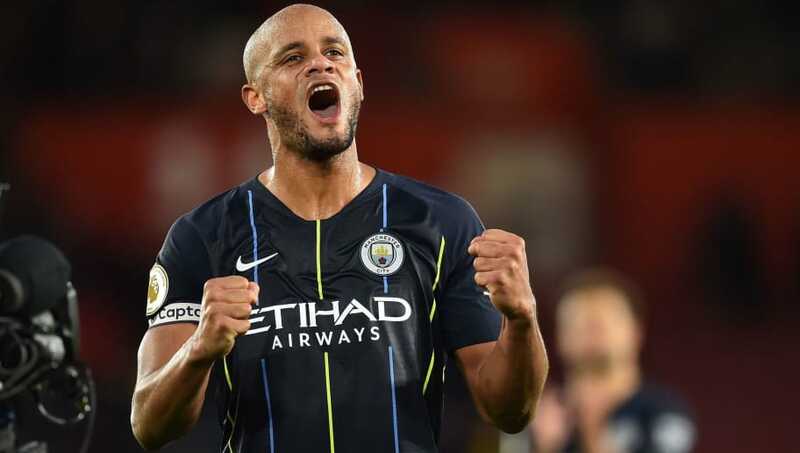 "We shouldn't focus too much on points at the moment, we know if we can play to our potential we know we are a good team," Kompany told ​Man City's official website. ​Raheem Sterling, who is having arguably the best season of his career, reiterated his captain's statements ahead of Thursday's clash. "Our last two results were difficult to take and I thought we bounced back brilliantly [against Southampton]," Sterling said. "The last three games we have started well and scored the opening goal, and then we have been sloppy, but our mentality was good and we showed a good fighting spirit [against Southampton]." ​Man City will look to go four points behind the league-leaders with a win at the Etihad on Thursday, but know they must improve upon recent performances if they are to get anything out of this blockbuster tie.